With the close of the 2005 turf season it is worth reviewing the main stories amongst the trainers. The article will try pretty hard to avoid the traps that these reviews tend to fall into. Most notably just repeating the numbers but also avoiding nonsense like "the stable's 2yos were flying, they were on fire..." (not a good combination). It is more worthwhile to try to put the performances in general context and try to identify real trends. Initially, some scene setting. A total of 316 trainers had runners during the season, one less than in 2004 and the same number as in 2003. Although the total has remained at a similar level there is a degree of 'churn' but mostly at the lower levels. Once a trainer has achieved a mid level, or better, position in the rankings the normal departure is through their own choice and usually retirement. 238 trainers (75.3%) had ten 2yo runners or less and 75 of that total (31.5%) had at least one winner. The 78 trainers with more than ten 2yos all had at least one winner. The concentration of winners in a relatively small number of stables is quite marked. During the season 768 of the 2yos managed to win at least one race which is one quarter (25%) of the total 2yos that ran. The top 25 trainers, by number of runners, accounted for just over 50% of the 768 winners leaving the remainder spread between the other 291 trainers. It also nicely makes the point that a lot of being successful in training is a numbers game. Therefore the majority of stories amongst the trainer ranks come from the top 30-40 in the lists. With the remainder the small number of runners can make it difficult to assess whether improved or lesser performances are just natural variation or part of a real trend. Another major factor in 2005 was that it was a lacklustre year overall in terms of quality 2yos at the top level. The lack of a solid group of high class 2yos amongst the british based major stables allowed opportunities in better races for other trainers. The dominance of Irish based Aidan O'Brien in the 2yo section was one indicator of this. Another was the fact that many of the better races were won by horses who had made early season debuts and were not eclipsed by later season, development 2yos. Two trainers came to prominence in 2005 and had outstanding years that they will have great difficulty matching. The stories are relatively well known but their achivements are worth briefly recording. In the previous 6 seasons KA Ryan had a steady record with 2yos with his final result varying with the quality of horses in his care. 2004 saw his best results in all categaries along with some high class runners. That progress accelerated in 2005 which saw him with 16 more 2yos than in 2004 and 11 more than his previous highest level. The increase in runners was, fortunately, matched by two high class 2yos who combined to lift the season to outstanding. Amadeus Wolf and Palace Episode both came to the yard via a similar route. They were both expensive purchases at the yearling sales and both were offered for sale at the April Tattersalls Breeze-up sales in the hope of making higher prices and a profit. Both failed to meet their reserve and attracted bids below their yearling sales prices. They both ended up being trained by Mr Ryan for their 2yo seasons and he showed good ability in recognising their capabilities and developing their careers (if we ignore the poor choice in stepping Amadeus Wolf down to 5f at Chester). For a middle ranking trainer to achieve any Group race win is a big moment. To win two at Group 1 level within 3 weeks with different horses whilst vindicating the high opinion you had of them when recommending to others earlier in the season must have been an especially satisfying outcome. Palace Episode has moved to Godolphin but perhaps the 2005 performance will help the stable to continue the improvement in 2yo racing results. A good sign in late season was the Listed Race win with Bathazaar's Gift who moved to stable after running for NP Littmoden. A brief recap of the background to EJ O'Neill's position is useful. He applied for and got the post as the trainer in residence at owner J Fretwell's new Averham Park training establishment in 2004. Mr Fretwell targets 2yo racing and previously had his runners with BA McMahon. He wants the Averham Park facility to be used by other owners but it started in 2005 mainly filled with his own 2yos. These ran in the lime green single colours that became well known during the season. The first season for the stable went better than they could have expected with a good range of winners including two at Group 2 level. Mr O'Neill produced a good performance and gave the impression of being a well organised trainer. It will be difficult for the stable to reproduce the same level in 2006 and this may depend upon whether they can attract horses from other owners. This section covers a number of trainers who had notable 2005 seasons with their 2yos. A key issue is to try to assess whether this was a real forward step that is likely to be maintained, and perhaps improved, or just a 'fluke' caused by a good set of 2yos and the record is likely to back to the normal levels in 2006. RM Beckett has varied his style with his 2yos since he started training in 2000 with varying results but always with the indication he would be a solid trainer at least. 2005 was a step forward in terms of winners and strike rate while he got at least one win with all the runners that showed some ability aside from Don Peter. The most notable feature was the three debut winners and the general competitiveness of runners with ability on their first two runs. Overall a good season and he should reach the expected standard in his career but with one niggle. He seems to lack a sure touch with knowing the ability of his horses in early season. In 2005 Don Peter seemed to have been identified as his best early type but proved moderate. Sounds Simla was entered in a seller before a surprise debut win in a minor race and developing into a 70+ rated handicapper. While Spunger made an early season 5f debut and started winning over 8-10f in late season. So still room for improvement. The record of A Duffield has improved over the last four seasons and 2005 was a real step forward in terms of winners. In previous seasons the 2yos tended to be very ready on debut and not to progress in terms of form shown. Consequently early promise and placed runs tended not to be converted into wins and there did not appear to be a 'plan B' if the early competence did not produce a win. In 2005 there appeared to have been some change with 7 individual winners and a more competent conversion of early promise. However, signs of the same lack of form progression remained with runners tended not to progress from their second runs and form tailing off. In summary a stable to now take seriously with runners on their first 2-3 runs. M Johnston had an odd season in 2005 but one which ended up as 'good' simply because of the number of winners. With a winner to runner ratio of 53% and second place by number of winners in the trainers' list shows that he can grind out the results. The stable got off to a slow start with only 8 winners by the end of June and 16 by end July, well behind his normal level. In this period he also lacked any natural, high class 2yos and the stable appeared likely to have a moderate season. The quality of the horses introduced later were also not good by the stable's standards. The only wins in better races were by Prince Of Light in a sub-standard Group 3 and a late season win by the very promising Nakheel in a staying Listed race. However, 15 wins after September 24th turned what looked to be an uninspiring season into a good one just for the amount of wins. The other odd thing about the season was that despite the lack of higher class horses and early season runners (in weaker races) he had a career high number of debut winners. Until very recently you could rely on a FTO win by one of his 2yos to indicate a Group class runner but this was not the case in 2005 - have we seen another useful guideline fall out of usefulness? Alan King has a mainly National Hunt stable but started running a few 2yos in the 2002 season to keep the stable going over the summer. His comments on 'Summer Jumping' in interview in 2005 left one in no doubt why he prefers not to get involved with that. The four 2yos he started with in 2002 were a notably good group - including Salsalino, Howle Hill and Trouble At Bay who distinguished themselves at 3yo and/or over hurdles for the stable after showing good form at 2yo. 2003 was a blank year with three runners but he presumably then decided to target flat racing more fully and had twelve 2yos but moderate results with only 2 winners. He has stuck at it though and 2005 was a good year with 5 winners from 11 runners and two others with solid places. He has always prepared his runners fully and has a good idea of their abilities. The first five horses he ran this season were the five winners in the season and a clear indication of this preparation. In previous seasons his debut runners have been very fit (a common trait with NH trainers with occasional 2yo runners) and have usually placed on debut if they have any ability. This was less clear cut in 2005 and he may have adapted his preparation as he develops his style. In summary he appears a good, reliable trainer who has put an increased emphasis on 2yo racing and it will be interesting to see how his record develops. Did BR Millman have a 'good' season or not? In terms of final numbers he had a fairly standard year for the stable with a good figure for winners to runners of over 50%. What tips the balance is the impact he made. In 2004 with a moderate group of 2yos the stable did not have a winner until June and he lost an important owner to P Chapple-Hyam. In previous years he had identified his best and precocious 2yos and got early wins with them. Perhaps with this background he set out to make an early impact in 2005 and if so he managed it. By April 2nd the stable had 5 wins from 6 runs and provided jockey Alan Munro with a good start to his return to British racing. At this stage he was the story of the 2yo season. The problem with this approach - getting your 2yos very fit and ready for the first few weeks of the season - is that you've used up too much of your ammunition and there's a long season still to go. By April 27th the stable had 7 wins and with none of the early winners developing to win in higher grade he had just four more wins spread across the remaining 6 months. Trainer's who have gone down this 'win the first races of the season' route (notably B McMahon & WGM Turner) have tended to adapt the strategy to a slightly more developmental one and try to spread the wins out. This may only mean getting the wins in March-May rather than in 2-3 weeks but still leads to less ready debuts. How will Mr Millman approach 2006? At least we will know quickly. JS (Stan) Moore has long been working with bargain basement 2yos and has a reasonable record given the low quality of horse he has. To illustrate the point in 2004 he ran thirteen 2yos and eleven of them cost less than 5,000 guineas and the majority less than 2,500 guineas. With the strength of the market at the yearling sales in the last 3-4 years this amounts to 'throw away' money. Each year he manages to find 3-4 winners amongst his group and usually manages multiple wins with two of the winners. A solid effort and he can be held up as an example to a number of other trainers who have more financial backing but cannot produce similar results. Now, working at the basement level undoubtedly has pressures but in can also be a comfortable position. Any success you get is the 'little man' (literally, in Mr Moore's case) putting one over on the system. If you fail then the horse only cost 2,500 guineas so what do you expect? More money brings responsibilities and different pressures, rather than just making poverty more comfortable. At some point trainers at this level need to prove they can be successful at a higher level (or stay in their niche like a Bill Turner). In this context 2005 was a good one for Mr Moore with an increase in wins, winners and notably in strike rate to 9%. This step forward coincided with a group of 2yos that cost more at the sales, not expensive but above bargain basement. In summary, a solid effort and one that ought to be maintained given similar backing in 2006. One slight niggle was that he has always been notable for getting wins with runners after a relatively high number of previous runs. When he was working with poor horses this was reasonable since he was developing them and looking for the right opportunity (like the first 7f race of the season or a later season Selling Nursery). In 2005 with better types the horses competed more prominently on debut but some still seemed to need to develop to win. Dont Dili Dali and Dune Melody were two examples and he seemed to struggle with the disappointing Twinned (who gave all the signs of being a short runner that didn't stay 5f). WR Muir has previously had a moderate record with 2yos and does not convince with his development of their careers. The statistics for 2005 show a good season highlighted by 50% winners to runners and a strike rate more than double his usual level. A look at his record shows the same lack of certainty with getting the wins - two surprise wins at 33/1 & 66/1 in weak races, 3 wins in maidens by runners on their fourth, seventh and eight runs - but the final results were ok. It is unlikely that these results will be reproduced in 2006 and it would seem more likely he will drop back to his normal levels. One area that Mr Muir does impress in is his ability to attract owners with solid financial resources to the stable. When he was stood at this year's sales with a new Japanese owner you do wonder how he manages it. Now, there's no tongue-in-cheek aspect to this compliment, it is sincere. The job of a Racehorse Trainer encompasses such a wide range of abilities that no-one can do everything. Your success depends upon your ability to get the right people and horses around you. The skill of attracting owners and having them buy expensive yearlings to be trained in the yard is right near the top of any list of pre-requisites for a trainer. D Nicholls was reported to have put extra emphasis on 2yo racing this year and he had a very good year with 5 winners and two placers from 8 runners ana a 22% strike rate. With a highlight in the performance of Strike Up The Band who won at Group 3 level. He also changed his debut strategy and the first 4 runs produced two FTO wins and a second place along with a runner that disappointed on soft ground but won STO. The trainer has tried to improve his 2yo record at times in previous seasons but with mostly limited success so 2005 does appear to be a real breakthrough. However, it will probably be wise to see how the earliest runners in 2006 compete before feeling certain the results were not caused by a good group of 2yos. DM Simcock gets a mention in the 'good' section as much on potential as performance. 2005 was only his second season and we've only seen 20 runners handled by him. But, the 20 runners have produced a 7 winners and he has shown a number of positive traits which mean he is already on the list of trainers to take seriously in race calculations. For example, he takes 2yo racing seriously, identifies the horses with ability and prepares them well before they run. He then runs them in appropriate races and they seem to win when they are supposed to (not a trick that a range of trainer can manage). They seem to show some progression from their debut runs before reaching a plateau of performance. In summary a good start with limited runners so far and a stable to watch for further development. CF Wall, through his record with 2yo racing, gives the impression of a trainer who has found his niche and is not trying to move out of it. He runs roughly the same number each year, gets 2 winners in an average year and a similar strike rate. Occasionally a better class runner will come along, like Bella Tusa in 2002, and he knows what to do to get a high class race win with it. All very solid and comfortable. In numbers terms 2005 was a typical years - 13 runners, 2 winners and a strike rate a little below his best. The year was 'good' because both the winners in Expensive and Wake Up Maggie won Sales Races with large prize money purses. However, it seems unlikely that this will be the start of an upward trend in the stables 2yo record overall and probable that we will see more of the same in 2006 in numbers terms and without the quality at the upper end. Don't worry, this is not going to be the longest section in the article with a pointless list of trainers that matched their average. It's here to make a point about not being blinded by one or two headline 2yos into believing a trainer has had a very good season. 2005 gave us a good example with B. Smart and the performances of Titus Alone, Sir Xaar and Misu Bond. Mr Smart actually had an average season and and without a slightly lucky break at the Doncaster Breeze-up sales it would have been below average. After his Pontefract win Mr Smart recounted how he had bought 3-time winner Sir Xaar for only 9,000 guineas at Doncaster. He said the horse had been the penultimate lot at the sale and everyone else had gone home so he got him without much competition. Without Sir Xaar the trainer's record would have been below average given the overall level of spending power he has at the sales. After a late start to the season he had a good period as Titus Alone and Sir Xaar won their early races. The impression formed in this period persisted through the season and led to the general perception of a notably good season. A good example being the prospective "King of the Luvvies" (a title held by Mike Cattermole for some time) - Nick Luck on Racing UK. He regularly came out with the "Smart's 2yos are flying this season" formulation when beneath the headlines he was having an average season and a good number of expensive disappointments (Angaric, Miss Sure Bond, Sweet Line, Night Club & Worldly Pursuit for example). The 'Annus Mirabilis' section above highlighted two trainers - K. Ryan & E O'Neill - who have targeted 2yo racing more strongly in 2005. These increased emphasis produced good results immediately. A sensible question to ask is whether this improvement is likely to continue or even if this season's levels can be maintained. If we look back to the 2003 and 2004 seasons we find the trainer's who were the equivalent 'stories' of remarkable improvement had disappointing 2005 records. J. A. Osborne made a conscious decision in 2002 to target 2yo racing. The following 2003 was his annus mirabilis with a very good 2yo season topped by the Group 1 win in the Dewhurst by Milk It Milk (a 'fluke' given his background & breeding). 2004-5 have been notably less good seasons although at least 'average' by normal standards. A strike rate around 11% in those years seems acceptable and he still has a very good 'multiple winners' record (ranking 4th for trainers with 20+ runners). So why call 2005 disappointing? The reason is that his average level is almost certainly above the performance in the last two seasons. He seems to have been wrestling with an illness problem in the string and the sales purchases have been less successful than in 2003. Consider that in 2005 the first 9 runners produced 6 of the 7 winners. The remaining 21 produced only Zaal as a winner, including a range of relatively expensive sales buys. He failed to get wins with a number of runners, most notably the frustrating Illustrious Blue, who made later debuts that you expect him to be able to convert from maiden status. The final point is that given his targetting of 2yo racing he failed to have a 2yo that competed strongly in the best races. So, the season was 'disappointing' in the sense of average results for someone you suspect is capable of better. Given the organisation and good points he has shown in 2003-5 it would be no surprise to see him with a 15% strike rate, better than 33% winners-to-runners and one or two runners capable of winning/placing in the best races. Something to watch for in 2006. The 2004 season did not see a trainer make a remarkable step forward in the manner of Mr Osborne or Mr Ryan. Instead it is instructive to assess two trainers who had very good 2004 seasons by their standards. N. P Littmoden made his name training durable older horses on the all weather circuit. However, he had a variable record with 2yos and the early season debuts tending to be poor and inexperienced. The wins came along in later season (often on the AW after the turf season close) and often with 2yos having their 4th run or more (against the normal distribution with the majority of 2yo wins, other than in nurseries, in the first 3 runs). The overall impression was that he lacked a sure touch with the 2yos and the wins were the result of the better physical types getting organised and/or fitter later in the season. He received odd negative comments for his performance in this respect. In 2004 Mr Littmoden made similar comments to Mr Osborne the previous year - that he would put more emphasis on 2yo racing because that was an area were stables of his size could hope to compete at the highest level. This brought success with three high class 2yos - Chateau Istana, Polly Perkins and Salsa Brava - producing results you did not expect from the stable. The changes included early season wins, debut wins and success in better races (one Group, three Listed and two Group 2 places) along with good showings at Royal Ascot. The strike rate was also the best in the last 6 years. However, unlike Jamie Osborne, the performance did not quite convince you that he had 'cracked' the 2yo racing caper. The 2005 performance by the stable suggests that 2004 was an anomaly caused by a group of notably precocious 2yos rather than an 'Osborne' type restructuring. The season saw a drop in all statistics - winners, strike rate, etc. but most tellingly the old uncertainty with the early season and debut runs was back. The table in his 2005 page on this site listing the performance of his debut runners is particularly interesting. Compare this to a range of other trainers and you should be able to get the point. The season had an unhappy twist when his best 2yo (Balthazaar's Gift) won a Listed race on his final start having moved to K. Ryan's stable and left Mr Littmoden's. In summary, one step forward then one-and-a-bit back and more work required, disappointing overall. The other trainer considered who is in the 'good 2004 season promising a real change in 2yo performance but disappointing 2005' is JJ Quinn (John). Mr Quinn had never given the impression of particularly targetting 2yo racing and had a modest record although acceptable given that he was generally working with cheapish horses. Aside from a downward blip in 2003 he has had an increased number of 2yos recently although still from the cheaper end of the market. 2004 saw his best recent season with notable increases in the number of winners and wins. Unlike Mr Littmoden he had always appeared to have a reasonably sure touch with developing 2yos when he got a better type. 2005 saw the number of runners at the higher recent level but the performance dropped back to his 'normal' level. He still has the mitigating factor that he does not generally have expensive 2yos but it was still a disappointing regression. There are probably two related points to draw out from his recent record. The first is to be wary of greatly improved performances, in general the improvement will not be carried through to the next season unless the trainer has access to a greater number of, and/or more expensive, 2yos in the next year. The second point is that buying yearlings at the sales is not a science and smaller stables will have variable records depending upon how well they did in the sales 'lottery'. The remainder of the 'Disappointing' section highlights, in alphabetical order, a number of trainers who had modest 2yo performances in 2005. MLW Bell's record over the four seasons 2001-2004 has been consistent and well above average. He showed a clearly identifiable approach to various levels of 2yo racing and reviewing his previous performance would give strong indicators about the strategy with his current 2yos. At the headline level 2005 was a good one for the stable with Motivator's Derby win as the highlight. However, the performance of the 2yos was poor. If he had not already proved over an extended period that he is a good and reliable trainer you would be wondering whether his better years were the anomaly. He ran the usual number of 2yos that ran but had only 5 wins and the strike rate dropped to 5.3% when it is normally 14% or higher. Looking at the 2005 performance suggests a number of factors caused the poor results. They are summarised below but in general underline the fact that being the best trainer alive won't help you if the raw material is moderate. In 2004 he had 6 winners from 9 breeze up purchases for Sheikh Mohammed's son (the all beige race colours). This year he had one winner for that owner and the 2yos from that source were moderate (as they were in general in 2005 which will be considered in a later article on 'Sales Value' and 'Pedigree Chasing'). The performances of Cover Drive (120k guineas) and Lava Flow (70k) in April as his first 2yo runners of the season were somewhat baffling. Cover Drive disappeared for four and a half months and ran over 8f second time out after the (laughably inept) 5f debut. What was that about? The stable has a regular intake of owner bred runners each season and these often provide a number of winners. Only Nantyglo provided a winner in this season and in general the owner breds were poor. Callanish, Choreography, Daedal, Enthusius, Italian Romance, Peas N Beans, Ptolemac Cosmology & Ribald managed two places between them for example and represent 25% of his runners. The general quality of the sales buys he makes himself, usually in the range 15-40k guineas, was also moderate in the season. They produced just 2 minor winners. Added to these 'recruitment' factors he failed to get a win with 6 horses that showed placed form when you would expect him to find a small race win for some of those runners. He also had a number of 2yos that did not run after early August and there may have been an issue which caused this. And, finally, it was notable that none of the 5 winners managed to win a second time and a mark of his previous record was being able to develop multiple winners in the season. In conclusion a poor season with the 2yos for Mr Bell and a range of factors seemed to come together to cause it. If only one or two of the factors had occurred it would have been a below average season rather than a poor one. Given his reliable record previously and his activity at the sales an improvement back to at least his average level would be expected in 2006. In 2005 he lacked the normal early season FTO win by a natural 2yo so next season it will be interesting to see whether he is back on track with one of these by mid April 2006. H Candy does not strongly target 2yo racing but has a very good record with those he does run and has had a strike rate around 30% in the last three seasons. He seemed likely to have a similar season in 2005 given the solid group of yearlings he bought at the 2004 sales. A problem with illness in the stable meant that he started late in the season with his 2yos and only had 15 runs overall and a 13% strike rate. He showed the usual level stakes profit for backing his debut runners. The clear message is that the disappointing season was caused by the stable illness and given a problem free 2006 he could produce an improved performance with his 2yos. One interesting point to follow in 2006 is whether he has any notable successes with his early season 3yo maidens that missed their 2yo season. Examples such as Khyber Kim in 2005 showed that he can get debut winners with his 3yos at rewarding odds as well as with the 2yos. It will be interesting to see how the unraced Trimlestown & Pigeon Hill along with the once raced Cheney Hill fare for example. JG Given has a mixed record with 2yos and a relatively poor record in 2004 was slightly masked by a number of wins at selling grade. 2005 was another disappointing season with only 2 winners, one at seller level, and a poor strike rate. The results were the poorest since 1999 when the stable was still getting going and had only 2yos to run. His status as a "Show or Nothing" trainer remained in place with only one of his runners making a place on debut and that was Quadrophenia who provided his only win above selling level on its second run. Quite why the record is so poor is a little baffling. He gives strong indications of being an organised trainer who can produce the 2yos ready to win if they have ability. This tends to point to the recruitment side as being the problem and that the raw material is either not very good and/or not suited to 2yo racing. There were further indications in this direction with two expensive American purchases (more expensive than his recent 'top' 2yos) amongst the 'also rans'. P Grayson took out his licence in May of 2005 so it is possibly a little hard to have him on the disappointing list so quickly. However, we're not here to make excuses for people and he does have some 'previous' to take in consideration. Before he took out his licence his horses were trained by RP Elliott whose record with 2yos over the preceding 18 months would have got him into the 'Very Poor' section but for Mr Grayson taking over (or back) the bulk of them. Mr Elliott's record was whatever the inverse of the 'Midas Touch' is and runners of all types were guaranteed to run strings of clunkers. The 7 horses that made their debuts for him in 2005 beat a grand total of 2 horses and one achieved a rating in double figures for example. Now given this background it was not a great surprise to see Mr Grayson take over the 2yos to train himself. He started out with 40 horses overall (including 3yo+) and seems to have above average resources for a new trainer. One seller winner and one place from 9 debuts for the stable was a disappointing return and did not leave the impression that this is a stable to take seriously into race calculations. However, at least worth another check in 2006 to see how the early season 2yos compete. JH (Howard) Johnson? If the season had ended after Royal Ascot (at York) the suggestion that Mr Johnson would appear on the disappointing list would have seemed ludicrous. He had already had three winners in the season, two on debut, and the Royal meeting saw Masta Plasta win the Group 3 Norfolk Stakes whilst the maiden Pacific Pride had outrun everything but Red Clubs in the Coventry Stakes. With the unraced expensive 2yos in his stable to supplement the good runners we had already seen then surely the stable was going to play a major part in the 2yo season. It did not work out that way and the stable only had four wins after the Royal Meeting. Pacific Pride broke his maiden in a weak race and Millfield managed a second win in a minor Novice race. There were sixteen 2yos that made their debuts after the Royal Meeting and they managed just two minor maiden wins between them. This group were well above average in terms of sales prices paid including four in 6 figures. Added to this the development of the later debuts seemed less sure than with the more natural early seasons debut types (although this was offset by the way that Masta Plasta, Pacific Pride and Original Source's form tailed off quickly from mid season). In summary a little disappointing overall and still improvement required. Mr Johnson has said in interview that he's still learning 'this game' so there's good grounds to expect improvement in 2006 and given the backing he has (in Graham Wylie) he's always likely produce at least one useful 2yo. Please can you run your best 2yo as your first runner of the season at Hamilton again in 2006 (as you have in 2004-5) so we know which one it is? The stable of AJ Perrett had shown a consistent increase in numbers of 2yo runners in the six years 1999-2004. For the first four years of this period the number of winners and the strike rate increased along with the numerical climb. 2003 saw a stagnation in the results achieved and then 2004 showed the first decline. So 2005 became a marker year to see whether the backward steps could be reversed and the stable get back to the normal level. In this context 2005 was a real disappointment with 13 fewer 2yos running for the stable and only 4 wins. The strike rate was the worst in the period since 1999 when the stable was less strong and still building it's profile since she took over from her father (Guy Harwood). The number of runs by the 2yos was at a typical level so presumably there have been issues other than stable illness to have caused the lesser results. It is difficult to identify reasons for the decline but it wasn't due to lack of support with the 2yos including a high percentage of expensive sales buys and owners breds from superior sources. The stable had been notable for late season (late September to November) winners in previous seasons and these were missing in 2005 along with the usual set of STO wins. Ok, here's the proposition. We've got a business plan and we've set some reasonable targets for what will be 'success' by the end of our first season. There's 100,000 guineas to spend on yearlings and we decide to buy 24 at the sales so they are relatively cheap but that was our choice. After taxes, transport, 'walking about' money etc. you can add at least 20% to the 100k figure. The stable and facilities are in place so that we can train and race the horses for their 2yo careers. We'll use a (lowish) average monthly figure for training at £1,000. So the cost of having the 24 trained for a year runs up to around £300,000. Add that to the purchase price, add other taxes and contingencies and we're looking at something well over half a million pounds. So, this is a serious business and we need to make it pay. We move forward 14 months and it's the end of our first season and we're reviewing how the project is doing. We've managed one winner of an early season seller and achieved a wins to runs percentage of 0.7%. Only 10 of our 154 runners has placed. Things have not gone well, 'Awful' you might say. The above tale would be a poor story if someone with no experience started out and produced those results. If you were the son of one of the most noteworthy trainers of 2yos, had inherited his stables and contacts and were in your sixth season then it is clearly awful. I'm sure there are some mitigating factors but for trainer Alan Berry 2005 was another low point for an ongoing stable decline in 2yo performance. PC Haslam finished just behind (or ahead depending on your viewpoint) Alan Berry in the strike rate figures with a single winner from 25 runners at 1.2%. Mr Haslam had not taken 2yo racing particularly seriously before 2002 but with a little more money to spend produced solid figures in 2002-3 including a couple of useful 2yos by Dr Devious (one of which - Kinnaird - provided his first debut winner for a decade and won a Group 1 race at 4yo in October this year). The 2004 season showed a regression to just ordinary figures and followed by an awful 2005 return. The number of runs was at the normal level so it seems likely that this was caused by a poor group of 2yos and possibly less money to spend. Unlike Mr Berry it would not be a surprise to see him record an 'average' year in 2006. DK Ivory has some similarities with Mr Berry although at a lower level. He is the son of Ken Ivory who had a solid career as a trainer of 2yos and sprinters while building up his business in plant hire. Dean took over the licence in 2002 and was in his fourth season in 2005 and for the second year (and third in 5) did not manage a 2yo winner from 10 runners and 37 runs. Four of the runners managed to place. While there are mitigating factors in the lowish prices that the runners cost but they were not 'bargain basement' and you would expect a range of trainers to produce winners with similar raw material. The record of D Shaw with 2yo racing is usually relatively poor - a total of 4 winners 47 runners in the period 1999-2004 gives an idea. A return of no winners from 9 runners and 30 runs in 2005 is not a surprise in that context. So why call this season 'awful'? Part of the reason is that 6 of the 9 cost between 16,000 to 40,000 2yos so they were not cheap buys. But in this case the numbers and the prices only tell a part of the story. In the case of Mr Ivory, for example, the runners seem competent and you can see some plan in the 2yo runs, it is just that the final results need to be better. If we start with the debut runs they were all very poor and many inexperienced, four finished last and one managed to beat a single horse (out of 9). The best runner managed to finish 5th of 7. Unlike the majority of trainers the debut runs give little clue as to which are the better runners and how they might be expected to develop. The runners tended to show no improvement and most showed very poor form. The odd hints of form were usually at long odds and were followed by lesser runs. 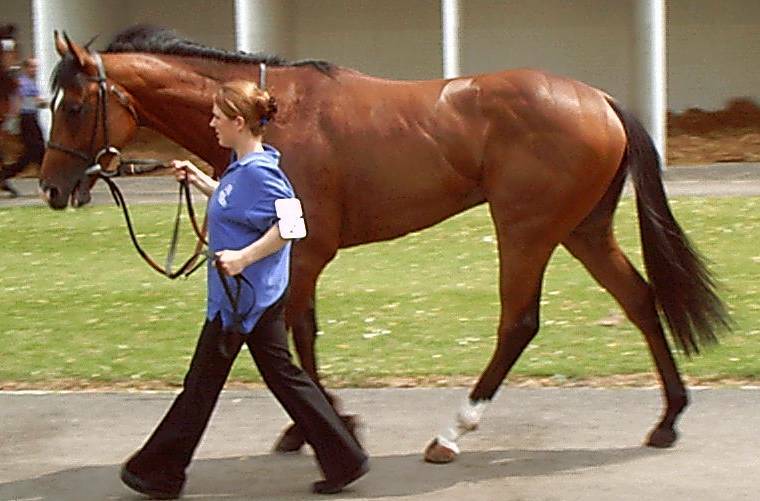 The one runner to show solid form - Sands Crooner - ran in higher class races and never managed to place. When dropped to ordinary maidens he was uncompetitive. Overall an awful season and one that would leave you a little confused as to what the overall plan was with the stable 2yos. The decline of the Alan Berry stable is dealt with above and is probably the most notable 'fade' over the last few years. Amongst the others HRA Cecil again recorded new lows for winners, wins and strike rate. His sole win came, predictably, with a useful debut runner that we only saw once. There's a certain grim fascination in seeing the slow demise of the 11 times former trainer with all the advantages and connections. A singular lesson in what can happen if the connections are no longer there and personal problems add to the problems. The 2006 season does not seem to offer any prospect of the decline being reversed. A mention in this section for PFI Cole who remains in control of a relatively large stable but the level of returns has been dwindling over recent seasons. The 2005 statistics showed another decrease in runners, winners, wins and strike rate. The stable still has a range of owners that can supply quite expensive 2yos to the stable so it will be interesting to see whether the recent decline can be reversed in 2006 (and interesting to see what Strategic Mount can do for the stable at 3yo). In general a quiet season with retirements but a major impact for those interested in 2yo racing with DR Loder handing in his licence. He had intended to retire two years ago but had been persuaded to start up his own training establishment in Newmarket for the 2004 season following several years working for Sheikh Mohammed. This venture had not been particularly successful and he cited health problems as a contributory factor when he announced his retirement late on in the 2005 season. His final season saw him produce his usual 30%+ strike rate with a limited number of runners. He undoubtedly had advantages in handling the Mohammed 2yos in recent seasons and clearly had difficulties in adapting to his spell in France and his latest stables. He attracted some negative comments for these points and some will not be that sorry to see him go. However, for those with an interest in 2yo racing it can only be a bad thing that a trainer than took the juveniles so seriously has retired. Given that he prepared his 2yos so well and raced them with such transparency it can only be a negative that he is not training. The impact he made with the Mohammed 2yos in 2001 on his return to the UK was remarkable in retrospect and we have not seen anything similar since. At a lower level GB Balding, JA Glover, JR Ramsden and B Hanbury stopped training although they had only minor impacts on 2yo racing. Mr Glover had been in the 'fading' category for a couple of years and managed no win from 8 runners in his final season. 9. MORE OF THE SAME? In general trainers settle into recognisable patterns with their handling of 2yos - how ready they are on debut, their development through the season, what types of races they run in and so on. This section covers a selection of trainers to assess whether they showed their expected patterns. M Prescott shows a number of clearly identifiable strategies with his 2yos. One of the key factors seems to be that he has very good understanding of the ability of his runners and how much scope they have to develop. If asked you would expect him to be able to give a small rating range which equated to the best that an individual horse could achieve at 2yo. A solid percentage of trainers would not be able to do this despite seeing the horses every day, designing their training regime and being able to time them or test them against older horses. In 2005 he again finished high up in the "Wins per winner" table and did comfortably best of those trainers with more than 20 runners and above 5 winners. This is not an 'accident' but a clear indication of the planning he undertakes. You could give a large number of other trainer exactly the same horses and the results would be very different. C Brittain, for example, would almost certainly have ended 2005 with fewer winners and under half the number of wins. 2005 saw 6 multiple winners from a total of 10 with two winning four times and two three times. To put this in context there were only 13 runners that won 4 times in total 2003-4. He also produced two of the six 5-time winners in the three years 2002-4. Knowing the ability of the horses is a key factor in these results. Starting them in the right races and making a progression through the available race types is needed to produce these results. This progression and strings of wins will be familiar to those who watch the 12+ furlong 3yo handicappers the stable has. The preparations for these 3yo wins are often laid at 2yo. Take a 2yo with a staying, development 3yo, pedigree and give it three quick runs over 6-7f late in the 2yo season. Then put it away to wait for the 3yo handicaps and start at 10f and move upwards in distance into relatively uncompetitive races (given the current bias towards breeding 7-9f horses). If we look at his 2005 record which of Alambic, Gentian, Warsaw Pact, Taranis, Rivetting, Chess Board, El Alamein, Liberate and Phone In are 2006's multiple staying handicap winners? To summarise - it is useful to review Mr Prescott's previous methods and performance because he uses a number of clearly identifiable strategies and tactics. 2005 was a pretty typical year and comparing when he debuts particular 2yos in 2006 should give a good indication of what type they are. Do not get drawn into believing there is more going on than there actually is. The stable seems to have be fairly 'open' in the sense that positive 'words' for horses seem to regularly get out. Given his 'shrewd' reputation these hints can often gain a life of their own and drive horses down to poor value SPs. Consider that 16 of his winners in 2005 started at 9/4 or less (with 8 at evens or shorter). A number of backed short SP runners were beaten (9 of 22 at 6/4 or less). M Tregoning had a record in recent seasons which clearly suggested that he prepared his runners fully before their debut runs. This meant that 2yos with ability would compete well and usually place or win on their first run. In 2003 he had 10 winners in the season and 7 won on debut while in 2004 he had 6 winners with 3 winning on debut and two others placing. In those two seasons he had 25 runners that finished outside the first 6 on debut and only 1 of them won later in the year. This kind of split is very useful for being able to infer what to expect from a trainer's runners in light of their debut performance. 2005 was a much more mixed story and makes it more difficult to be certain about the development of his 2yos from debut in 2006. He had 12 winners in 2005 and 4 won on debut and two others placed. This left 6 winners that were unplaced on debut and 3 that didn't make the first 6 including the useful Mulaqat. More tellingly he had 7 wins with 2yos on their fourth runs or later. In the previous four seasons the grand total was 2. In summary - come on Marcus, whizz them up a bit more for debut in 2006 so we know where we are. C Brittain has a moderate record with 2yos and a one made worse by the quality of the horses he has in the stable. 2005 saw one major difference to his performance with another big increase in the number of 2yos to 43 and joint 12th on the list by number of runners. The bulk of those 2yos were relatively expensive sales buys or owner breds with average or better pedigrees. With that introduction you would expect that here was a major 2yo force that you needed to take very seriously. Instead he had another moderate season and the usual 'niggles' with his style showed up. For example, he tends to get wins only with his best 2yos. Despite the increase in numbers the winners did not increase and his strike rate went down. Four of the eight winners were capable of competing well at Listed level or above. The other 4 winners included two that managed to win moderate maiden races on their seventh runs. If a trainer like WM Brisbourne managed that with a cheaply bought horse you would be inclined to give them credit but in this case it seems less of a positive achievement. He does not give the impression that the 2yos careers are well planned and the wins come through natural ability, occasionally by persistence but not through good knowledge of the 2yos ability and placing them in targeted races. Following on from this a number of 2yos with the ability to win a race will end up as maidens each season having run in high class races before they have won. With a different trainer and different approach then at least three of Colourpoint, Arabian Sea, Lake Poet, My Amalie and Well Armed would have won as 2yos for example. [As an aside the Mr Brittain's record it is interesting to consider the source of many of the 2yos he has. Many run for Saeed Manana (white colours with red sash and striped cap) including some owner breds. At the yearling sales the purchases for Mr Manana seem to get marked down to "Darley Stud Management (DSM)" as the recorded buyer. Mr Brittain appears to assist Mr Manana in choosing yearlings to bid for along with other advisors. In general these buys do not seem particularly good value. In 2004 B2yoR saw 13 yearlings sold and marked down to DSM which ran for the stable as 2yos in 2005. These 13 were bought for between 16,000 to 60,000 guineas and above the average level overall. Only one of these 13 was rated over 70 (with caveats) by B2yoR and though it is a little more involved a horse tends to need to rate over 70 to be considered likely to compete well in 2yo maidens. These 13 horses produced just two winners - the 7TO maiden winner Yarqus (the cheapest buy at 16,000) and the late developing Listed winner Rajeem (another cheaper buy at 27,000). Further evidence of his probably quite inflexible methods is that you can tell what sort of runner he has by when they win for the most part. He had three of the eight winners win on their first or second runs and these were three of his best runners. The four runners with moderate to average ability either won 3TO or 7TO depending upon where they fitted on the moderate to average ability scale. The one exception was the Listed race winner Rajeem who won a maiden 4TO and then a Listed race on soft ground at the end of the season. This filly was 80/1 on her third outing in a weakish Warwick maiden when she showed the first hint of ability. Given the foregoing it seems likely that her late season blossoming was as much of a surprise to Mr Brittain as anyone else. J Spearing has a notably interesting record and an ability to produce a single 2yo winner each season. This 2yo will win 3 races, usually run in sellers early in their career before developing to win consecutive races and win outside seller grade. 2005 proved no exception and the only 'surprise' was that he managed to keep the Official Rating of Valentino Swing below 80. So we can watch out for his first two runners in 2006 and try to spot which will be the triple winner. N Tinkler has a poor record with 2yos and opposing his runners and expecting little development through the season is a usually a good working guideline. By his standards 2005 was a good one with 2 wins (including one outside selling grade) and a 2.9% strike rate. However, he comfortably met the usual expectations and showed no signs of adapting the methods that have produced the previous poor results. To end the section there were two new trainers in 2005 that took over from relations with solid 2yo records. ES McMahon is the son of BA McMahon who targeted 2yo racing and worked with owner J Fretwell (who opened his own purpose built stables with EJ O'Neill as trainer to such effect in 2005) amongst others. He had a good record with 2yos and had dropped back to a more developmental method having gone through a stage where he used to win all the races at Doncaster's opening meeting of the year and not much afterwards. How did his son fare in his first season with his father working as his assistant? The end of season statistics show a solid season very similar to an average one for his father. The main point to note was how different the early season debuts were from his father's record. The early runners were notably inexperienced with ground lost at the start a (too) regular occurrence. He then had a batch of winners in the 6 week period from mid-June as the 2yos got into form. In 2006 it would be no surprise to see this change and the earlier runners to compete more strongly. The other slight niggle was the performance with Curtail who was his earliest runner in the season. This runner took time to show his form and then showed improved form for trainer I Semple after moving from the stable after the 9th run. WR Swinburn took over the licence at the PW Harris stable in 2005 and therefore replacing his father-in-law. Mr Harris remained at the stables and presumably involved in the training. The yearling sales in 2005 regularly saw Mr Harris doing the bidding for the horses and then signing the purchase slip as "W Swinburn Racing" for example. 2005 showed a normal season by the stable standards with the size and shape pretty typical. There were no signs that the change in licence holder had brought any change to the overall strategy. When the stable was having slightly better seasons overall in 2001-2 the winners in the season tended to show up strongly on their debuts, including a regular number of FTO wins. The recent seasons has seen less of these and the 2005 season saw four of the five winners unplaced on their debuts. The reasons for this seem more likely to be linked to the quality of 2yo that the stable has had in the last three seasons. The lack of higher class types has led to the less competitive debuts rather than a change in plan. Why the stable has had this lack of better types is not easily explainable given that Mr Harris is still doing the purchasing at the sales.